There are two kinds of Tina's Breakfast Wraps. I tried the Egg, Potato, Beef, Cheese and Bacon variety. The other kind has sausage in place of the bacon. Each wrap (sold individually in the freezer section) is about 5 x 2 1/2 inches. I had high hopes that I could hail this as a great snack item for breakfast lovers. Unfortunately, this is one of the worst products I've ever reviewed. It's criminally deceptive how little the actual product looks like the picture on the package. 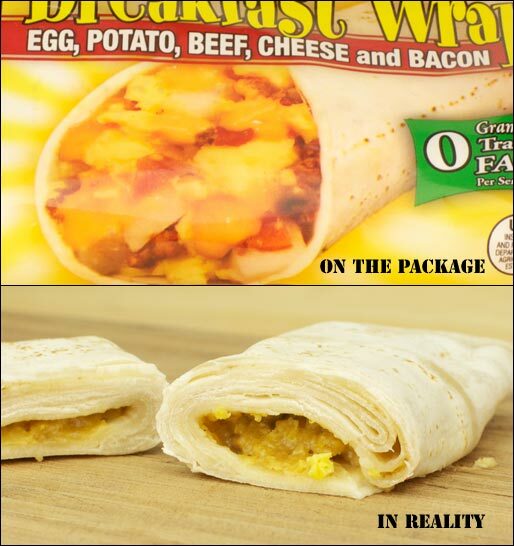 The wrapper shows distinct bits of egg, potato, cheese and meat wrapped in a single layer of tortilla. What you actually get is layer upon layer of tortilla filled with an amalgamated mush. To make matters worse... when you microwave the product according to the package directions, a lot of water leeches out leaving the bottom side unappetizingly soggy. As for flavor... you'd be hard pressed to distinguish this "egg" burrito from a bean burrito. Avoid this product even if you find it for free. Nutritional Considerations: Each single-serving wrap has 190 calories, 8 grams total fat (2 grams saturated and 0 grams trans), 55mg cholesterol, 350mg sodium, 25 grams total carbs, 1 gram dietary fiber, 0 grams sugar and 6 grams protein. 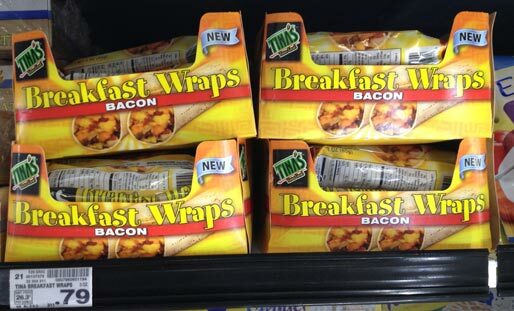 What do you think of Tina's Breakfast Wraps? I agree with all the negative reviews. I was surprised to find a site that said 'American's #1 selling burrito'. How could that be possible? The sausage, egg, and cheese burrito was a slimy mush no matter how I cooked it. I also got the mushy mess that didn't taste good at all. I bought this product recently from HEB and after cooking it, I opened the wrap and it was brown mush. It was NOTHING like the picture on the package. I saw no eggs, no bacon no cheese or potatoes, just a brown mush. I could not eat this at all to even offer feedback on the taste, I just know it is not what they are advertising! FALSE ADVERTISING! I bought the egg, cheese, and sausage version from Costco and they were very good. Bought more and still good. The ones I bought don't look like the product pictured here. Love them. The ones I get do look like the photo and taste fresh. 38 cents each! Horrible. Soggy, and no filling. 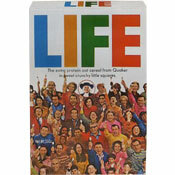 The one on the package looks great, but we don't get that quality inside. I kinda liked the sausage one. When I saw the in reality photo, I nearly choked on my Froot Loops. I decided to try the product for myself. Never. Again. It just tasted like slightly salty, soggy gruel.